If you're new to the team, or maybe new to track altogether, it's easy to imagine that anything called the "Texas Relays" is kind of a medium-sized deal, because (after all) it's right in our very own backyard. The reality is that the Texas Relays are an extremely elite, premiere track and field event on the national level, which includes, this year, competitors from 32 states and 20 countries. 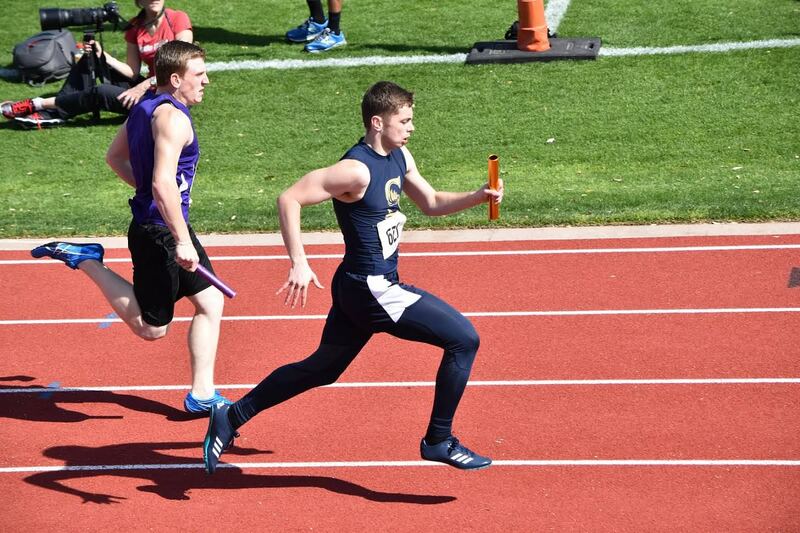 Your Savio athletes will share the stadium with elite collegiate athletes, champion professionals, and many Olympians. 7500 athletes will compete, and about 40,000 spectators are expected to attend. It's actually a really big deal. 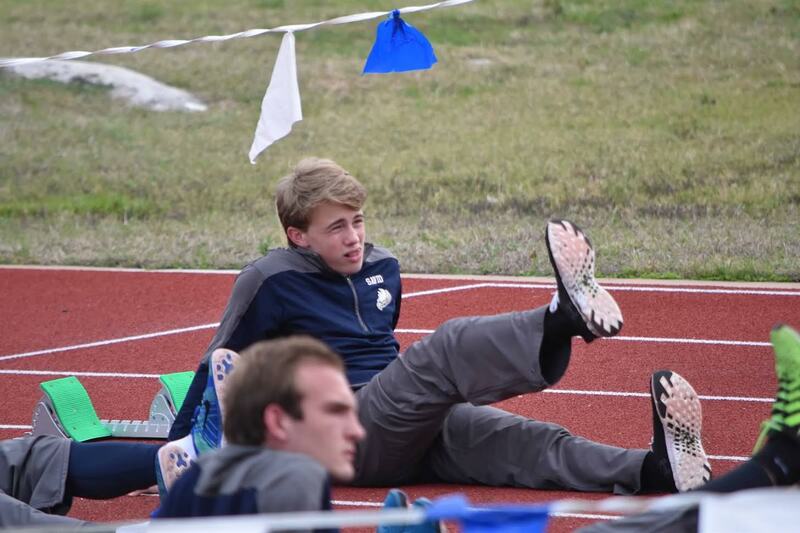 If you are a veteran Savio Track fan, you may be thinking it's simply becoming an expectation that Savio qualifies relay teams into the Texas Relays every year. Yes, well, that's just great parenting (hahaha). 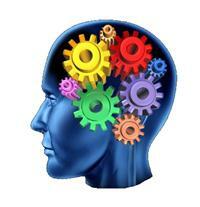 Ok, maybe it's because of the excellent training provided by our outstanding coaches. (Thanks Coach Brantley, Coach Tommie! )...Yeah, and our talented kids do work unbelievably hard year round to improve, and they are pretty awesome! Let's not be too blasé about this "repeat" honor. After all, there are 36,287 high schools in the US whose teams won't get to enjoy this distinction. (I didn't make that number up...it's real math.) Opportunities for high school athletes to compete in this atmosphere, in any sport, are very rare. Please celebrate with us this joyous achievement! We are so blessed! Competing in the Texas Relays can be a very formative experience for our young men and ladies. This is a big adventure. How often can they can gain so much confidence and feel so much humility in the very same moment? Our teams will race at about 4:15pm on Friday afternoon. You can join our clan of enthusiastic Savio fans in general admission seating in the Southwest corner of the stadium. Important advice: buy your ticket in advance, arrive early with plenty of time to park, foil the crowd and get to a seat ASAP, plan for the weather, and cheer madly! If you would like to come out and enjoy the event in person, you can buy tickets here. Can't go, but still want to catch some of the action? Fourteen hours of exciting competition will be aired live on the Longhorn Network. More information about that coverage can be found here. -Please pray for our athletes. Pray for their health, their peace, and their success. Pray they enjoy a memorable and formative experience on Friday in Austin. -Cheer them in passing. Please congratulate these kids (and coaches) when you see them. Send them off with pride. Thank them for representing our community so very well...again! -Talk it up! Spread the word that Savio Track is the real deal. The number one need of this team is continued support from enthusiastic families and growing numbers of talented athletes. 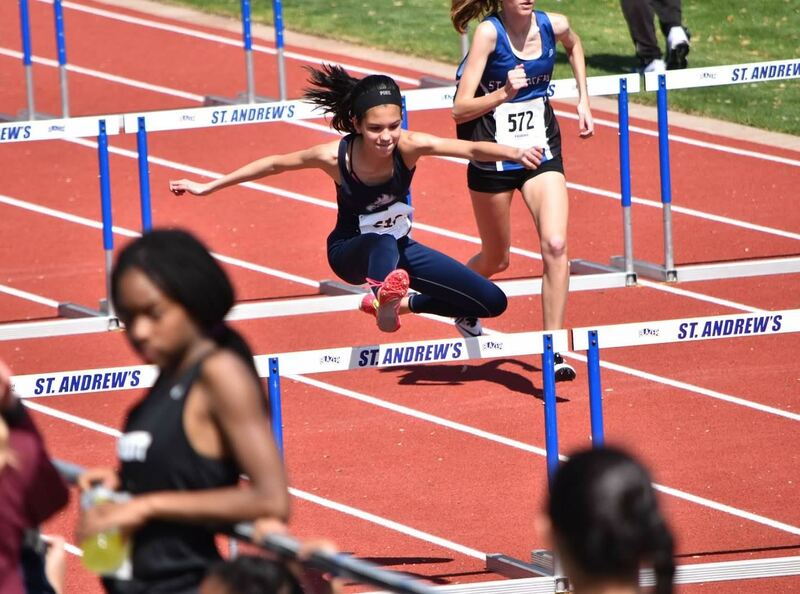 Let people know, if their son or daughter wants to join a group of dedicated athletes, work hard, and accomplish something, then Savio Track and Field is the place to do it. This is a time for all of our track athletes to feel proud of belonging to an outstanding organization, a group that is disciplined, faithful in their dedication to using the talents God has given, positive in their approach to daily effort, and generous in sharing joy in accomplishment! Hey!! We're in the TEXAS RELAYS.....AGAIN !!!! .....It's a big deal!!! The heat was brutal and the winds were biting, literally 20 miles an hour, but the tough conditions were no match for the Eagles Tennis Team. 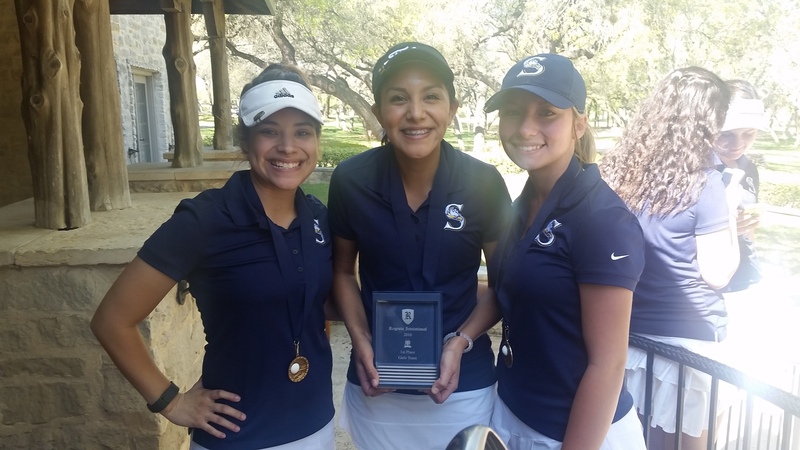 On March 22-23, St. Dominic Savio hosted the District Tournament for the first time at their home courts at Cimarron Hills Country Club. St. Michael's Catholic Academy, Regents School, and Hyde Park Baptist School were all in attendance. Playing for the eagles were Peter Spangler, Nick Butler, Grant Nolette, and Patrick Miles in boys doubles, Bo Valko and Trevor Staebel in boys singles, Andrea D'Mello, Thanh Tran, Emily Shoemaker, and Sierra Martinez in girls doubles, and Allison Meskill and Isabel Helal in girls singles. The team had a terrific tournament overall! 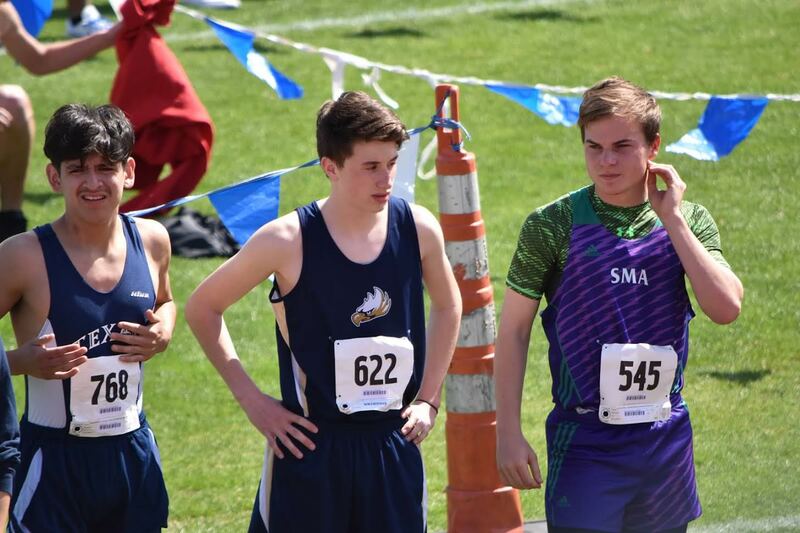 The players displayed the utmost sportsmanship and respect to the opposing schools and supported their teammates through narrow wins and losses. Peter Spangler, senior, and Nick Butler, junior, claimed the District Boys Doubles 1st Place title in stunning fashion. They won a close 3-set match by remaining calm under pressure. Spangler is a repeat district champion, the first in Savio history, having won the title last year with Zac Ortiz. Roberto "Bo" Valko won the 2nd place title in District Boys Singles in a hard fought match with last year's defending champion, Jennings Inge from St. Michael's Academy. Two of Savio's players faced and lost to Inge at last year's tournament, but Valko took the most games from the top seed out of all our players combined. He played a very tough match, both mentally and physically, to lose 6-1, 6-3 in the final. Allsion Meskill, senior, won the District Girls Consolation first place title against teammate and fellow Eagle, Isabel Helal, freshman. Meskill and Helal have had a competitive history with Helal beating Meskill for the 3rd place title at the Pre-District Tournament this year. The girls had a very good match again and remained friends after the dust settled. Meskill won 6-2, 6-0. Spangler and Meskill have been on Varsity Tennis all four years at St. Dominic Savio. With the inaugural tennis season beginning in 2013, this is the first year anyone could conceivably accomplish such a feat. The two have always been fierce competitors on court, hard workers in practice, and team leaders off court. That is why Meskill and Spangler were team captains this year. <---- Sierra Martinez and Emily Basquez face off against St Michaels in the District Tournament. Coach Pekar would like to thank Coach Florez, Coach Clark, Mr. Daniels, and all the players parents for their support and assistance during the tournament. It could not have been accomplished without them. Spangler, Butler, and Valko are now on to the State Tennis Tournament. Come support them on April 11-12 at the Waco Regional Tennis Center. Regents Austin hosted 14 schools for this week's Invitational Golf Tournament at Grey Rock Golf Club in Circle C. The Savio Eagles and Lady Eagles were treated to a chilly, windy and difficult test of their golf skills. Grey Rock was in excellent condition. Their recent renovations and the recent rains made the course a real beauty to play. Mother Nature again showed herself with gusting, swirling winds and very cool temperatures. Our Eagles came through despite the conditions and placed 3rd in Team Competition with a team total (362). Led by Captain Clayton Knavel (90), Ryan Rodriguez (107), Brandon Brown (93), Zachary Stewart (86, a tournament best) and Z-Je Marcella (93). Medalist - Christopher Gonzalez (112) and tournament new comers Matthew Lemp (116) and Jacob Kilburn (122) also played well. Our Lady Eagles once again took 1st place in Team Competition with team total (406). They were led by Captain Savanah Acosta with a 2nd place overall (92), Katie Jones with a 3rd place overall (94), Shelbie Sagnes with a 7th place overall (99), Connor Neill (121) and Shelby Ferraris (123). Lady Medalist - Katie Brooks (132) scored par on a par 3, her second par in tournament competition as she continues to learn her swing and golfing ability. Our Eagles and Lady Eagles will be practicing hard on their swings and putting skills in preparation for the April 7th District Tournament to be held again at Grey Rock Golf Club. The Eagles and Lady Eagles are looking forward to this tournament as qualifiers will advance to the Regional tournament in Garland TX. 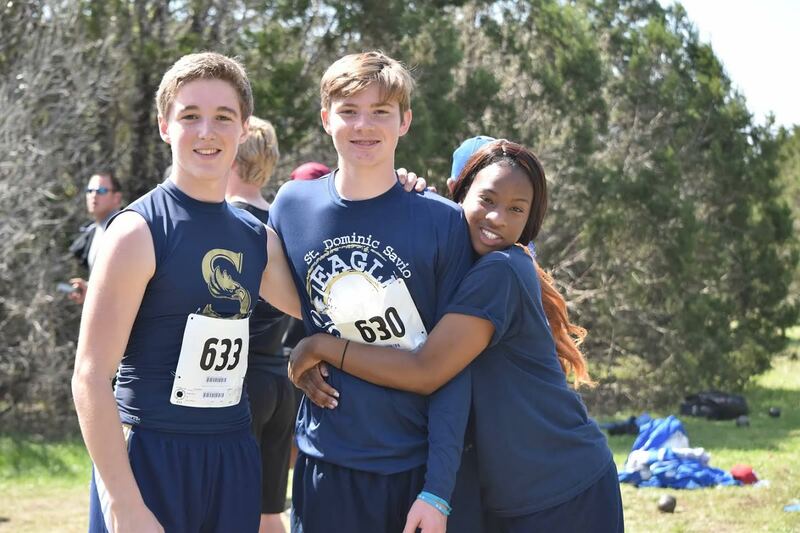 A record-sized Savio Track Team attended the St. Andrew's School Relays in South Austin on March 5th, as we welcomed 12 new track athletes to the team! 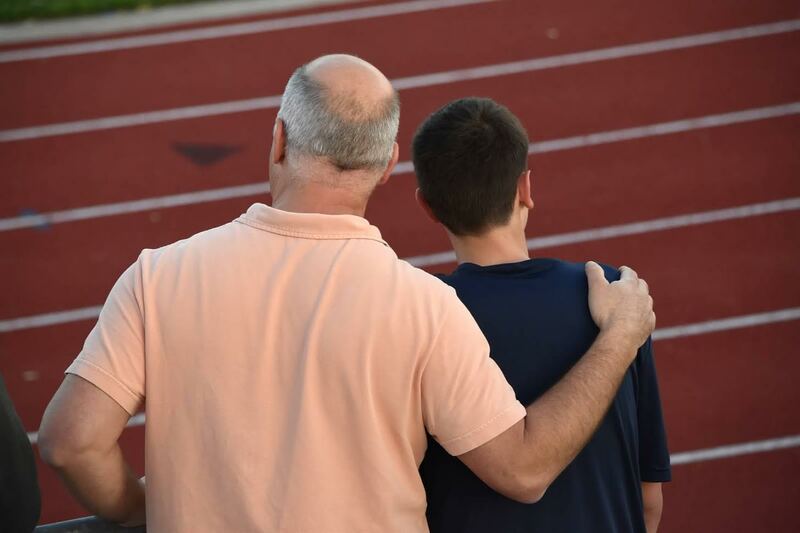 The growing team was accompanied by many parents and fans who enjoyed a beautiful day in the sunshine, watching their favorite "tracksters" compete. As always, our Savio Eagles competed well, and even our many rookies went home with a feeling of pride and accomplishment. This is what it's all about! ...Dad is proud of his rookie, Sophomore Carson Aldridge. We are so happy to have so many new athletes join the awesome Savio Track Team!! 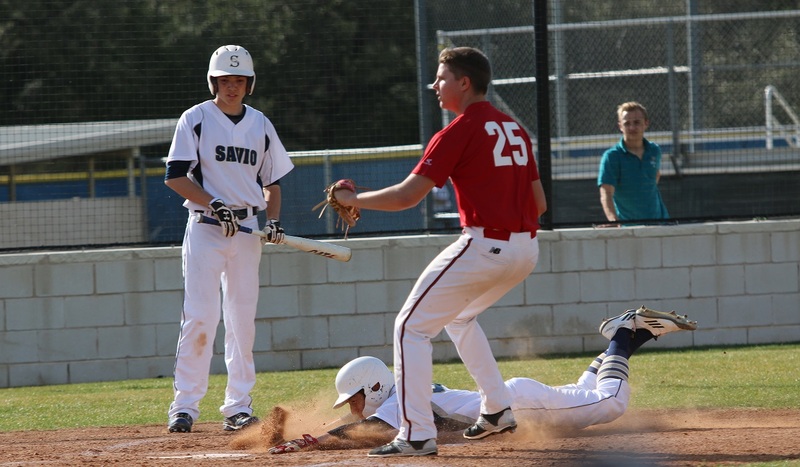 The Savio baseball team played four games over spring break. On the first Saturday of spring break, the Eagles traveled to San Antonio for a double header against the Antonian Apaches. Savio had 5 hits in the first game with Simon Scales and Tony Aufieri each hitting doubles but Antonian ultimately won the game, 6-3. In the nightcap, the Eagles came back from a 4-0 deficit to tie the game in the top of the 5th inning. However, with daylight quickly disappearing, the Apaches scored 5 runs in the bottom of the 6th inning to give Antonian the 10-5 victory. The Eagles had eight hits including Tanner Martinez and John DiGravio each going 2 for 3. 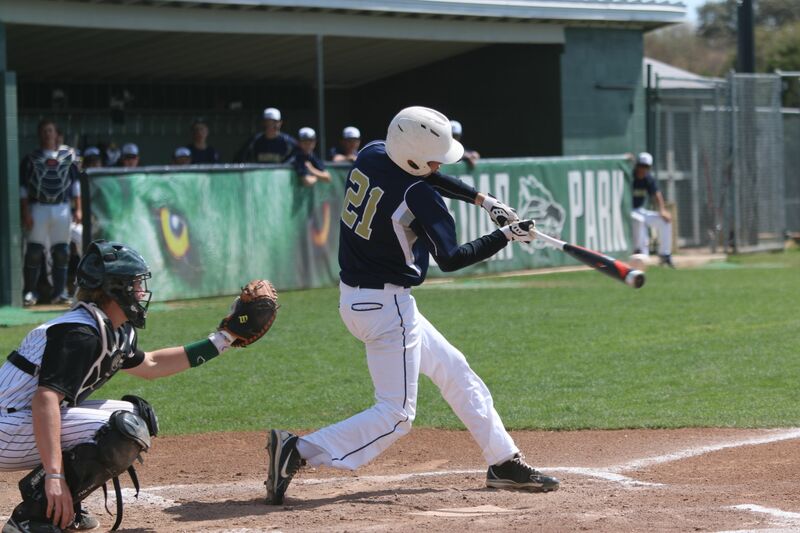 The Eagles also played a double header against St. Andrews this past Saturday. In the first game, the Crusaders jumped on the Eagles scoring 5 runs in the 1st inning. While those were the only runs the Crusaders would score, the six Savio hits were not enough to overcome the 1st inning as the Eagles lost 5-1. John DiGravio went 2 for 3 while Mark Lacayo, Brandon Rodi, Simon Scales and Daniel Zamora each had one hit. In the second game, the Crusaders won 9-4 despite eight Savio hits. 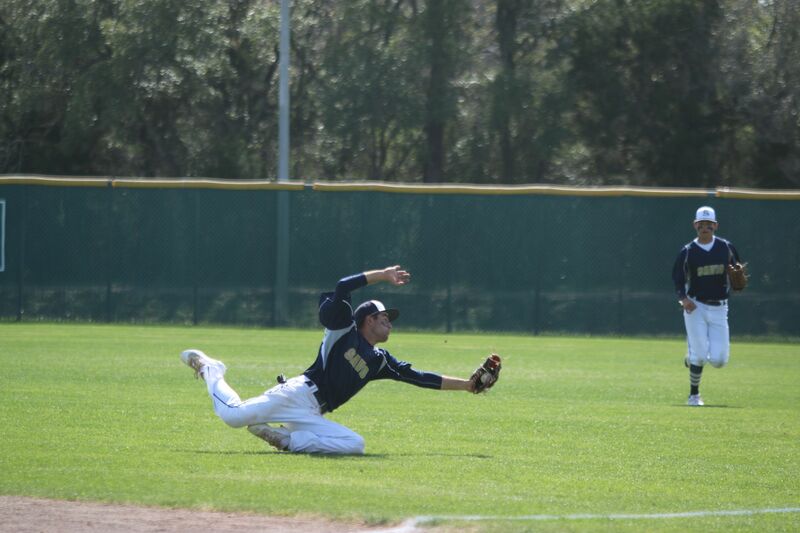 The Eagles begin district play against Hyde Park on Wednesday at 4:30 at the Savio baseball field. Come out and cheer the team on! Hyde Park Baptist hosted eight schools for this week's Invitational Golf Tournament at River Place Country Club. 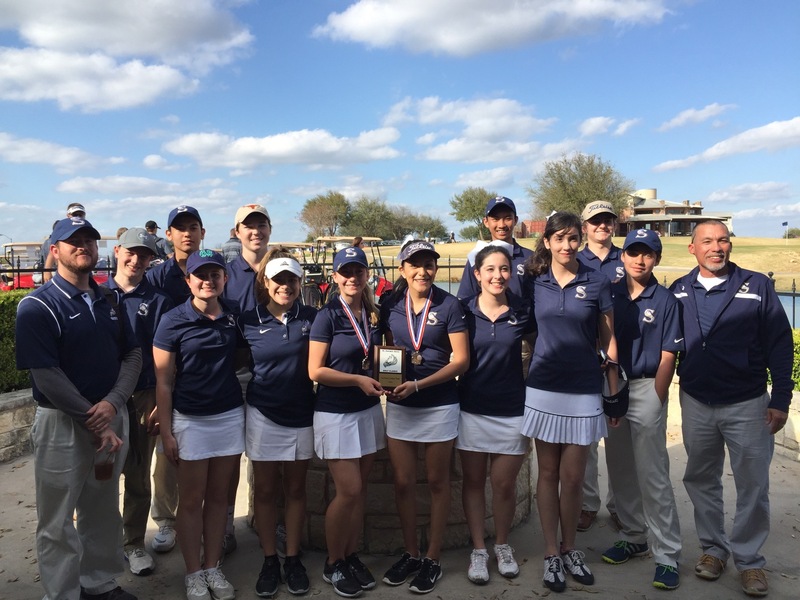 The Savio Eagles and Lady Eagles were treated to a very difficult test of their golf skills. River Place provided blind shots and tricky greens. As well, Mother Nature showed herself with gusting and swirling winds. Overall, the course was in excellent condition. Our Eagles had a tough time in Team Competition, however vowed to come together at the next tournament with better preparation. Led by Captain Clayton Knavel, Ryan Rodriguez, Brandon Brown, Zachary Stewart and Z-Je Marcella. Christopher Gonzalez competed as Medalist. Our Lady Eagles once again took 1st place in Team Competition. They were lead by Captain Savanah Acosta, Shelbie Sagnes, Katie Jones, Connor Neill and Shelby Ferraris. Katie Brooks competed as Medalist. Katie Jones took overall 2nd place honors. Our Eagles and Lady Eagles are looking to get in a few more practice days and hope the weather cooperates this week. Next week is Spring Break and upon returning to school will be playing at Grey Rock Golf Club hosted by Regents on March 22nd. The Eagles entered into the Leander ISD tournament knowing the competition would be tough but a great way to prepare for a district run, which starts in only a couple of weeks. Savio ended the tournament with a 2-3 record, notching wins against Cedar Ridge (6-1) and Salado (5-3) and coming up short against Vista Ridge (2-1), Cedar Park (6-2) and Leander (7-3). Savio continues to rack up the hits totaling 35 over the five games. Brandon Rodi, Simon Scales, Daniel Zamora and Brandon White all had 5 hits during the tournament, with Simon Scales hitting .556 (5/9). The pitching staff also performed well as each starter pitched at least 4 innings, with three starters completing 6 innings or more: Tony Aufieri 6 innings, Simon Scales 6.67 innings and Daniel Zamora 7 innings. Highlights included a victory against Cedar Ridge (6-1) as Daniel Zamora pitched a complete game striking out 7. Three Eagles had doubles against the Raiders including Tanner Martinez, Brandon Rodi and Brandon White. In the Vista Ridge game, starting pitcher Tony Aufieri held the Rangers to 2 runs. The Eagles, now 11-5 on the season, will host St. Andrews on Tuesday (3/8) at 3:30. The Eagles started off slowly Monday afternoon but their bats came alive later in the game resulting in eleven hits leading to the 10-7 victory over the Meridian Lions. Tanner Martinez and Simon Scales each went 3 for 4 hitting a single, double and a triple and driving in a total of 4 runs. Marty Sedlacek went 2 for 3 with a single and a double, also knocking in 2 runs. John DiGravio, Will Bradley, and Zach Veenis also had hits in the game. Since Meridian only had eight players, our very own Matt Rabaey played catcher for the Lions. Not only did Matt play great defense, he went 2 for 3 hitting a single and a double driving in one run. The Eagles play in the Leander Independent School District Tournament this weekend with games on Thursday against Leander (12pm) and Salado (3pm), Friday against Cedar Ridge (3pm) and Vista Ridge (6pm), and Saturday against Cedar Park (1pm). 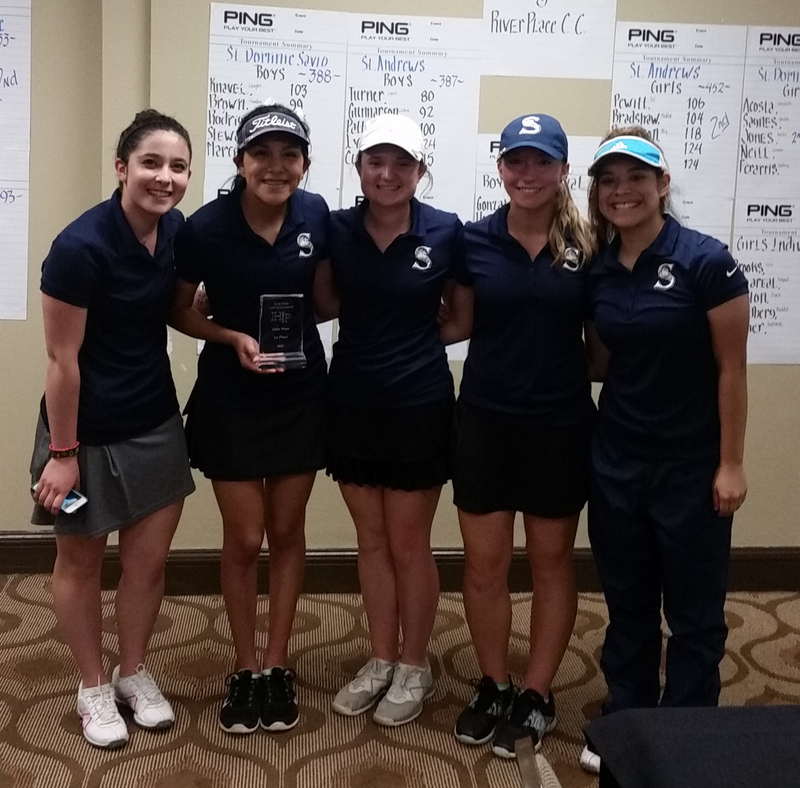 The Savio Eagles and Lady Eagles played host for the 2016 Savio Invitational Golf Tournament at Teravista Golf Club. The weather was amazing and the golf was also very good as there were over 90 golfers from 10 different schools. The course was in great condition and the staff at Teravista was super and very considerate of the pace of play. Our Eagles took 3rd place in Team Competition with a team total 356. They were led by Captain Clayton Knavel (88), Ryan Rodriguez (98), Brandon Brown (84), Zachary Stewart (89) and Z-Je Marcella (95). Christopher Gonzalez (110) competed as Medalist. Our Lady Eagles took 1st place in Team Competition with a team total 403. They were led by Captain Savanah Acosta (94), Shelbie Sagnes (107), Katie Jones (89), Connor Neill (113) and Shelby Ferraris (129). Katie Brooks (134) competed as Medalist. 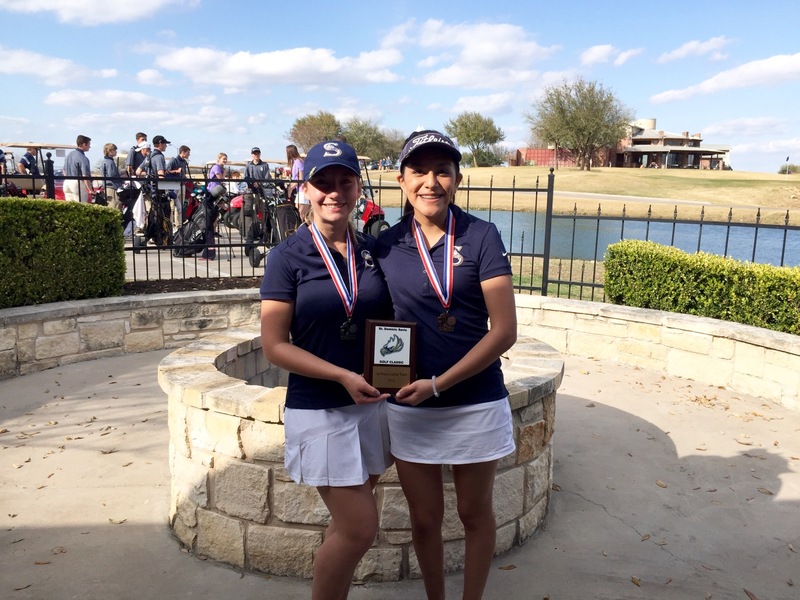 Katie Jones took overall 2nd place honors and Savanah Acosta took overall 3rd place honors. Our Eagles and Lady Eagles got off to a good start for their first tournament of the season and look forward to continued golf course success next week, Monday March 7th, as they travel to River Place Golf Club to compete in the Hyde Park Baptist Invitational.